The Summer Reading Challenge is returning to Manchester libraries! Children aged between 4 and 11 can sign up to take part at their local library and read any six library books to complete the challenge. There are exclusive rewards to collect along the way, and it’s all completely free! The theme this year is Mischief Makers, inspired by characters from the classic comic The Beano. Last year, children in Manchester read over 50,000 books and we’re ready for even more books to be borrowed this year! There are lots of activities on offer across Manchester libraries this summer to support the Summer Reading Challenge, encourage reading and inspire children's imaginations. Activities include Read Manchester's Bee a Reader Challenge and creative writing competition, African drumming, workshops from The Circus House and even mini yoga sessions. Download this leaflet to find out more or visit the Summer Reading Challenge website. Are you a young adult aged between 13 and 24? 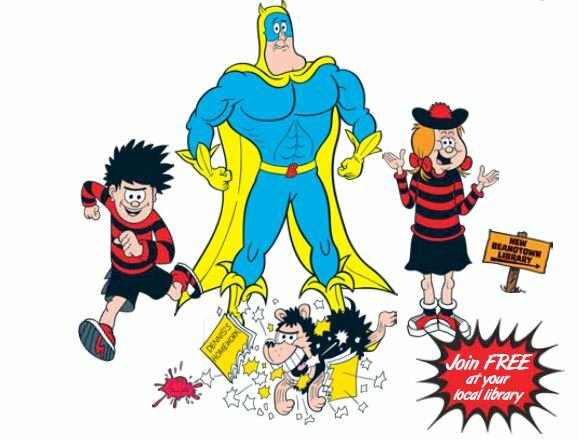 Find out how you can volunteer to help run the Summer Reading Challenge in Manchester. Find out how our Bee a Reader Challenge is inspiring children to read over the summer.